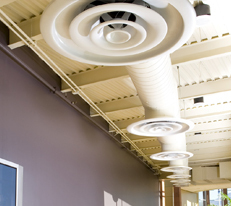 National Air Duct Cleaners Association Certified Project Managers since 1994. Carefully Trained, Conscientious Cleaners Our staff remember facilities as they have been with us for years. Flexible Scheduling that minimizes disruption. Specialized Equipment to match your situation. Excellent Results & Fair Pricing. Workmanship Guaranteed for 1 Year. 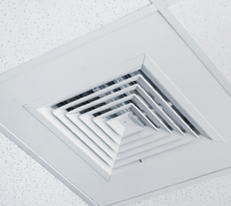 Our Air Duct Cleaners are trained, polite and courteous. Crews are always in uniform and on time. We have never used temporary help and most of our cleaners have been with us for years. Deal Direct - Home owners get insider pricing when you use us direct. Duct cleaning companies pay fees of 20% to 25% to heating and air conditioning companies for referrals and mark up your bill. Our Reputation - We have been licensed with the State of Connecticut Dept. of Consumer protection since 1994. Our staff has been National Air Duct Cleaners Association Certified since 1995 and we have provided air duct cleaning services to over 8,000 private homes in Fairfield, New Haven, Hartford and Litchfield counties. I would like to thank you for the job you did for me. Your crew was very polite and worked very hard. I would recommend you to anyone. You can use me as a reference anytime.